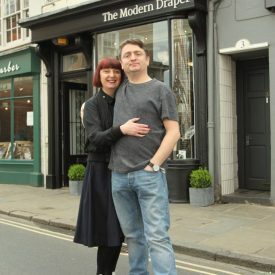 The Modern Draper, brainchild of MD Chris Terry, is an independent, contemporary menswear and lifestyle shopping experience based in the pretty Georgian quarter of Beverley, an East Yorkshire market town. After many years working long hours and leading hectic lifestyles in London, Chris and his fiancée Lisa were ready to head back to their Northern roots and families. The location of their new store was as critical for their brand as it was for footfall. 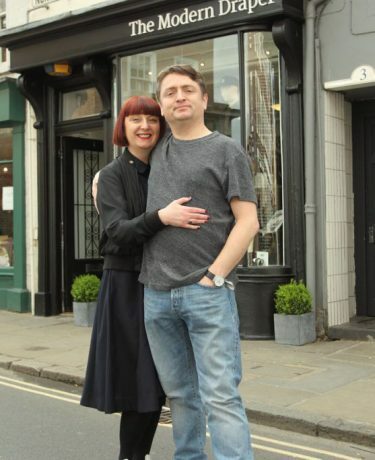 Beverley hit the nail on the head, boasting gorgeous Victorian shop fronts and a great community feel Chris and Lisa wanted to be a part of. Chris and Lisa asked us to help them create a lifestyle store brand to work both online and offline, catering to style-conscious men of all ages and holding friendly, old-fashioned customer service values at its very heart. 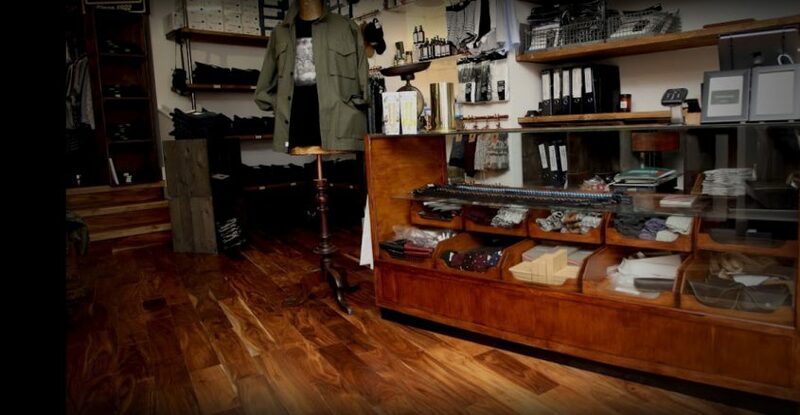 The Modern Draper sources and stocks an extensive range of premium apparel, footwear and accessory brands from around the world – all of which have a compelling brand story. The new brand identity needed to work alongside these brands harmoniously, but have its own personality in order to become recognised and form part of the local vernacular. We worked with Chris and Lisa to shape the identity and strike a careful balance between old-fashioned and a more contemporary vibe. 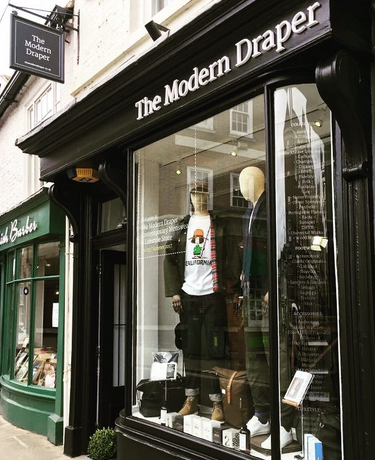 We helped Chris shape the interior and exterior of the shop and created a range of environmental graphics, signage and touchpoints across the brand, as well as graphics for the Modern Draper’s social media accounts. We also helped set up some practical online marketing tools and channels such as a Google Business page. As the Modern Draper carries such a large product range, we recommended that the website and in-store point of sale should all be handled via Shopify. That means it doesn’t matter where or when a sale occurs – it’s all reconciled from one point. Shopify is perfect for start-up businesses as it’s so easy to use. We worked with Lisa to manage the content creation, information architecture and the look and feel of the website, ensuring the i’s were dotted and t’s were crossed across every set of product details. 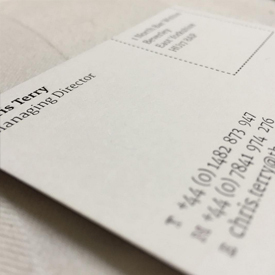 We liked: working in collaboration with Chris and Lisa to bring their vision for their new business to life. It was an absolute pleasure to begin their exciting Yorkshire adventure with them.